April 6, 2018 April 6, 2018 - by benign0 - 4 Comments. An article on the role “Cambridge Analytica’s parent company” supposedly played in the victory of current President Rodrigo Duterte in the 2016 elections is making the rounds. The “report” published on the South China Morning Post and authored by renowned Filipino “investigative journalist” Raissa Robles insinuates that the firm helped “rebrand” Duterte as “a strong, no-nonsense man of action”. Then again, this supposedly brilliant bit of analytics insight delivered to the mystery Duterte support effort (which may not have existed) that may (or may not) have contributed to building the successful campaign that catapulted Duterte to the presidency in 2016 is a no-brainer. Crime and indecisive no-action politicians have long been a scourge of Philippine politics. Campaign strategists who apply a bit of traditional brain to their craft would have spotted this opportunity straightaway. And in Duterte, they found a person who could simply remain consistent with his proven track record spanning decades as mayor of his southern Philippine city and be outright winnable at the same time. 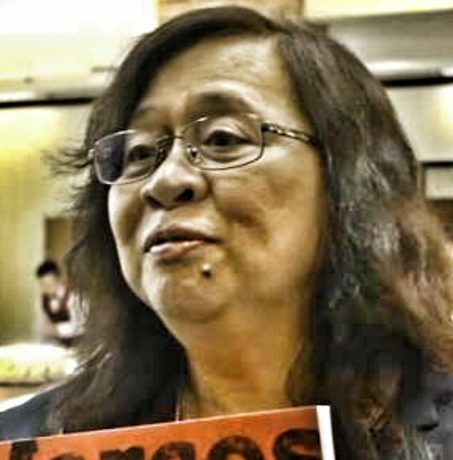 Raissa Robles’s not-too-pretty attempts at ‘investigative journalism’ fall flat. 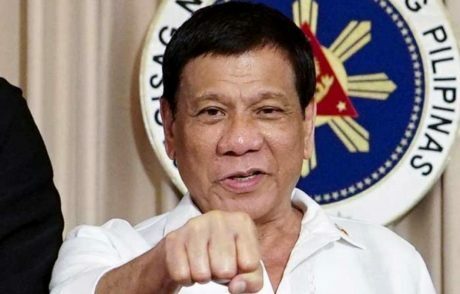 In short, Duterte could simply have happened to be the right person who was in the right place at the right time coming into an election to be decided by voters who evidently have had enough of 30 years of Liberal Party (a.k.a. the Yellowtards) bullshittery. So, this is really more a chicken-and-egg dilemma. Did the analytics result in the win? Or did the analytics simply validate the candidate? Either way, sinister corporate forces were not at work here as Robles “reports”. Robles is only too quick to give too much credit to these sorts of Big Data consulting services. She recklessly assigns a cause-and-effect relationship between a merely inferred “involvement” of Cambridge Analytica’s “parent company” in Philippine politics and the victory of Duterte in the 2016 elections. And even if it was true that such a consulting service was provided to the Duterte campaign, how big a contribution it had on the success of the campaign remains debatable just the same. I conduct scientific research on online manipulation, and, at this point, I probably know more about it than anyone else in the world. Online manipulation of our thinking, opinions, purchases and votes is real, powerful and scary; the numbers are mindboggling, in fact. But Cambridge Analytica is not the problem, mainly because the methods it uses to manipulate are not very powerful. Compared with the real threats out there, they are, in fact, trivial. During the 2016 campaign, Hillary Clinton had far more powerful digital tools at her disposal than Trump did. To give you just one example, in 2015, Google czar Eric Schmidt — who, at one point, had offered to oversee Hillary’s digital campaign — set up a secretive tech company called The Groundwork, the sole purpose of which was to make Hillary president. It was staffed by many of the same people who served on Obama’s 2012 tech team, which was also supervised by Schmidt. So who has the power to change minds and flip elections? It’s the platforms: and that means Google, Facebook, and, to a much lesser extent, Twitter. This is because no matter what content people are generating — and when Cambridge Analytica is placing ads, it is a content provider — Google and Facebook have complete control over what people will see (“filtering”) and in what order information will be displayed (“ordering”). It is quite laughable to watch as the depleted minds of the corporate media mouthpieces of the Yellowtards continue to scrounge around for little morsels of information (or mere notions) to serve as fodder for their flaccid “Opposition” to the Duterte administration. Rather than compete on strategy, the Yellowtards are merely sniping with rubber bullets. Filipinos do not deserve this sort of idiotic political Opposition. They deserve a real one that could deliver true strategic challenge to the wildly-popular government of President Duterte. Insulting the intelligence of an entire electorate is so 1980s-era Philippine politics. As is evident today, that tired old excuse of an opposition “strategy” no longer works. Previous Article Lost in Subject-Verb Agreement: Should Filipinos go back to Grammar School? The article by Robles seems to be another form of gaslighting. The privacy aspect is a foregone issue. They’re planting doubts on people’s capacity to choose in their elections/validity of their choice (since data now “can be easily manipulated” ). Journalism has really warped into something else thanks to people like Robles. I have some respect for Robles, but writing on the South China Morning Post which is a Leftist-progressive leaning paper with very partisan views, constant editorializing, and of course, bias against Duterte and plenty of overseas writers from Filipino Leftist groups, now on to Cambridge Anlytica, why? Facebook and Google didn’t give a damn about the 2016 Philippines Election, they were all over Hillary winning in the US, and it’s been an open secret that they use the information they glean from their users to enrich themselves, why not focus on election interference from Smartmatic? But when corporate media from the West is losing relevance, influence, and credibility, they attack Facebook, which is seen from their supporters as “Truth-seeking Journalists vs Evil Social Media Company” And maybe Filipinos will finally care about their information and privacy to stop this social media addiction. Hilary Clinton won the popular votes, because many illegal aliens in the U.S. voted. Yet, Hilary Clinton lost the U.S. Electoral votes. Cambridge Analytica, cannot make voters , “Robots”; like voting what Cambridge Analytica wants, to vote for any favored candidate. Most of those accounts in : Facebook, Goggles , Twitter, etc… are fictitious names of people. Their biodata are also false. So, it is unlikely that Cambridge Analytica, has something to do with the winning of a candidate in an election. Those politicians who lost in the election, are trying to find, “Escape Goats”, for their lost. Well, voters, simply did not vote for them. And, they have to lick themselves of their election defeat, and move on. Run again in another election. Perhaps, you will be lucky to get elected. People in any organization are always attached to the obsolete – the things that should have worked but did not, the things that once were productive and no longer are.